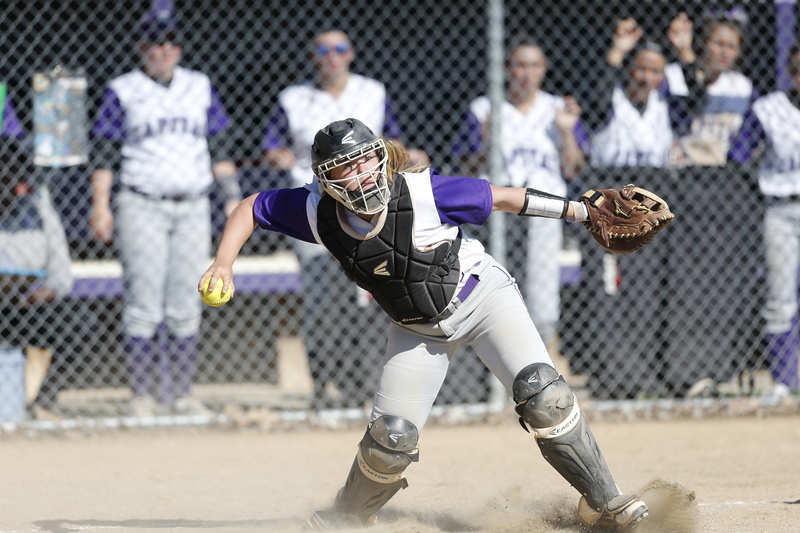 Capital University softball is back, bigger and most likely better. Coming off a shaky 2018 season, the team is looking to once again be competitive and improve depth both of batting order and pitching rotation. 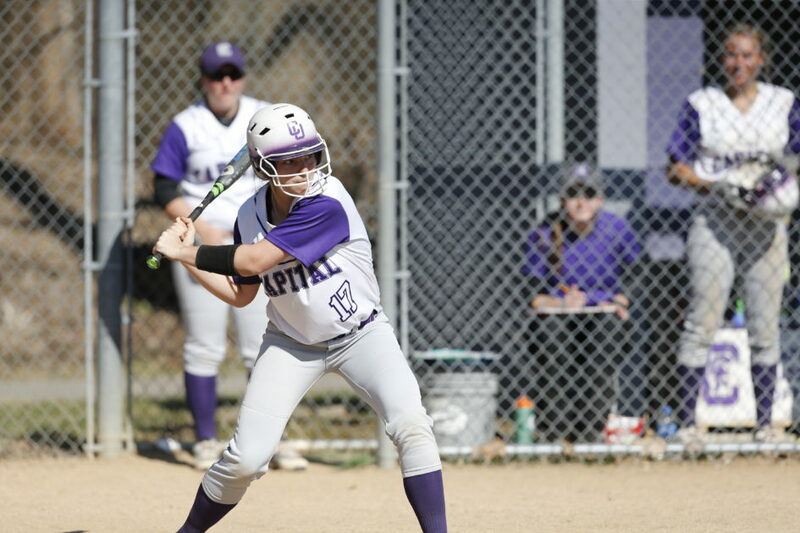 Capital softball finished their 2018 season with a 9-31 record, going 3-15 within the Ohio Athletic Conference (OAC), and winning only one game on the road. Injury was a large factor in the numerous losses that the team suffered, and Payne said that depth became an issue. Catcher Chevy Hayslett throws the ball back to the pitcher. Photo credits to Joe Maiorana. This year, Payne is directly addressing the issues that troubled last year’s team. The 2019 team will be the largest that she has ever carried in her time at Capital. With only three seniors, the team is very young and will most likely be driven by underclassmen stepping into starting roles. Though the team as a whole is young, several returners will lead. Sophomore Alyx Slusher and junior Cory Mangen are both projected starters in the infield. Senior Brianna Reardon will lead the pitching rotation and senior Chevy Hayslett will most likely start behind the plate. Junior outfielder Morgan Fadel, who missed much of last season due to injury, will make her return, and sophomore Mycala Duhart is expected to step away from her role as the team’s student manager and on to the starting roster. Most importantly, the team is carrying over the attitude that helped them rescue last season. Cory Mangen lines up at the home plate, ready to swing. Though practices have only been underway for just over three weeks, the team is already improving. They will officially be back in action on Feb. 23 when they travel to Clermont, Florida, to kick off the regular season. 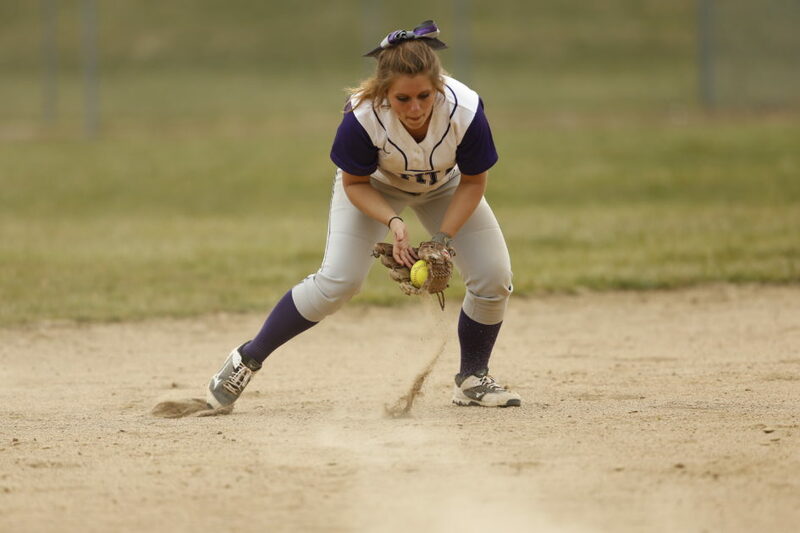 The conference is unpredictable when it comes to softball. According to Payne, both Otterbein University and Marietta College lost the head coaches under which they played last season. Payne says that Otterbein is still worthy competition, as well as the University of Mount Union and Ohio Northern University. The conference and beyond are still very much anyone’s game. With the improvements in depth and overall betterment of the team throughout the offseason, it is safe to say that Capital softball is making progress and will potentially be contenders during the upcoming season.